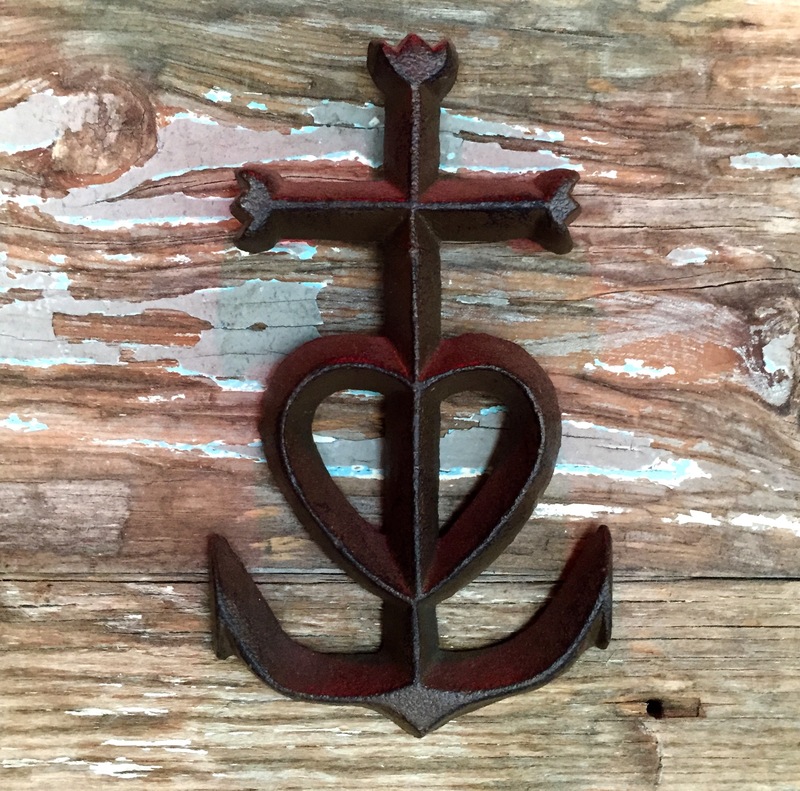 The French maritime cross symbolizes faith, love, and hope. In Montana, the mountains are our sea. God hasn’t forsaken us. Turn the anchor upside down and it becomes a peaked mountain. The Camargue cross is an emblem formed with a Latin cross whose upper ends represent a three-pronged fork ( a working tool used by “gardians” (cowboys) ) and whose lower end is a sea anchor topped by a heart. The Camargue cross was created by the painter and sculptor Hermann Paul in 1924 at Saintes Maries de la Mer, France. This is so beautiful, a wonderful symbol. I’m so glad you posted it. I find the anchor such a comforting symbol.